Viscoplastic Fluids: From Theory to Application. Summary of the workshop (draft). Location: Monte Verità (Tessin, Switzerland). Visit Google Maps for comprehensive directions to or from Monte Verità. Financial support: Centro Stefano Franscini. How to get there?See also full particulars below. 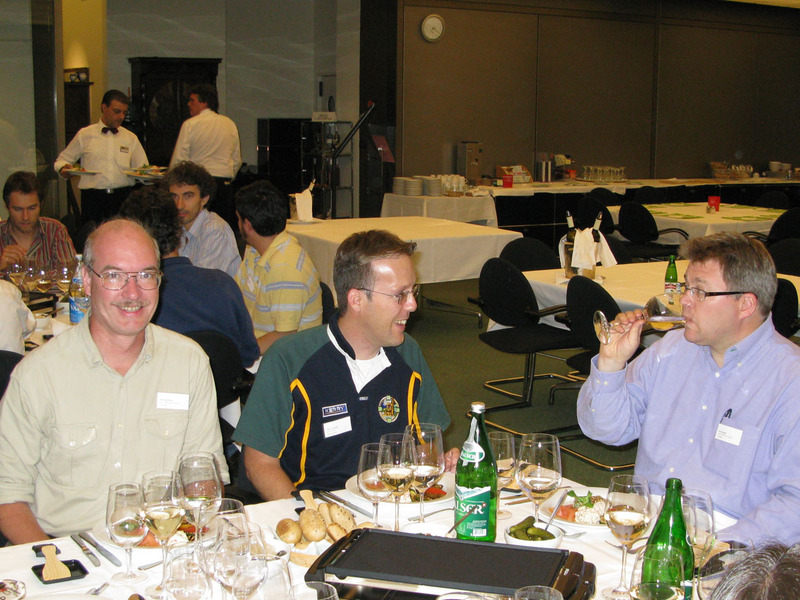 Registration fees: 1200 CHF (approximately 743 € or 967 USD); for regular participants (board & lodging for 5 nights). Young scientists may be offered grants to cover board & lodging, registration fee (but not travel expenses). 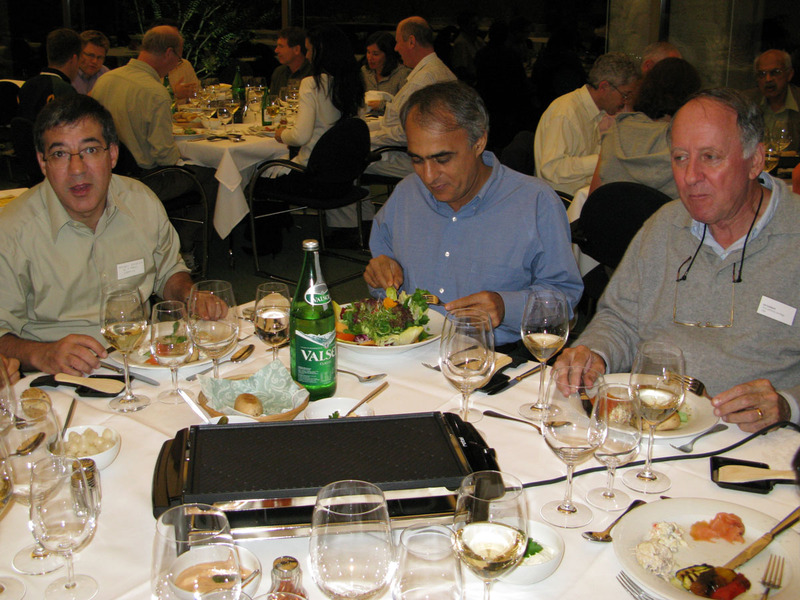 Invited speakers do not pay the registration fees. Maps and information about the hotel where you will hosted can be found on the hotel website. 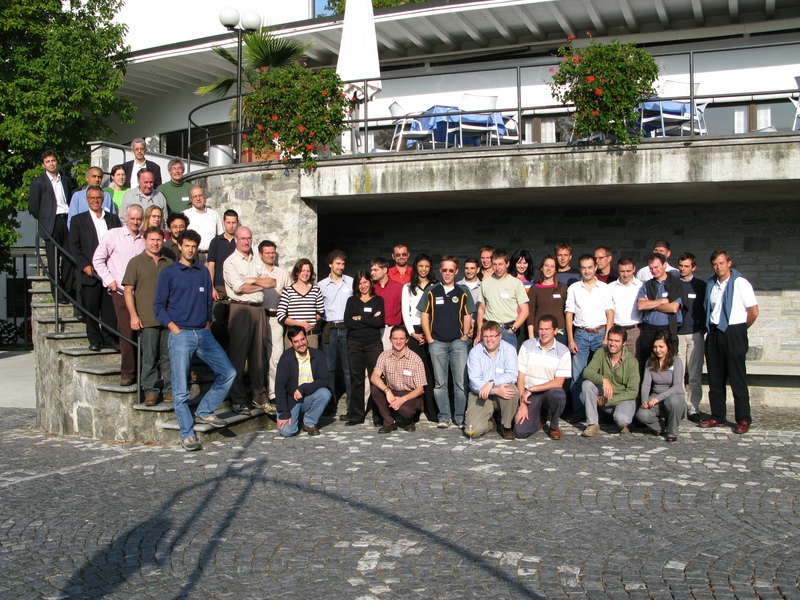 The conference will be held in the international conference centre of ETH domain located in the South of Switzerland, on the fascinating hill above Ascona: Monte Verità. 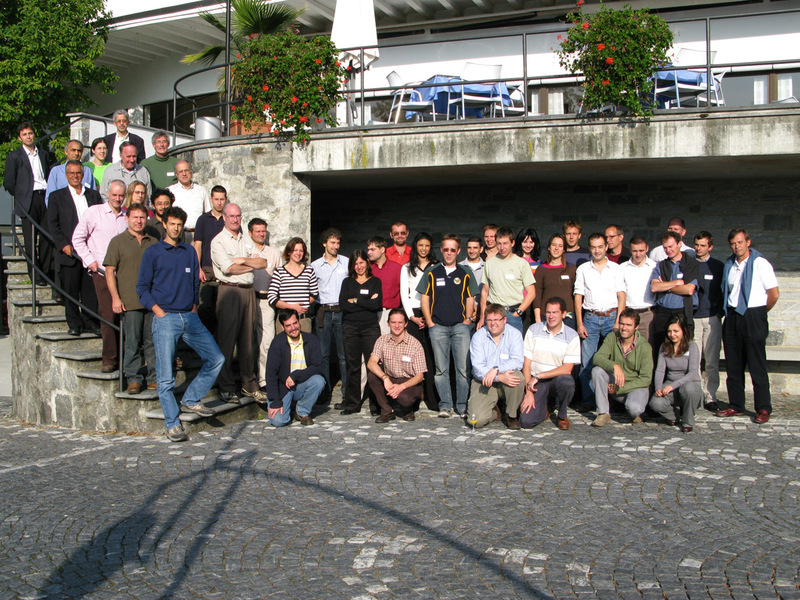 This workshop is the sequel of a former workshop held at Banff, Alberta, Canada and hosted by the Pacific Institute of Mathematical Sciences (22-27 October 2005). More information: take a look at the official webpage (calendar) or this page. 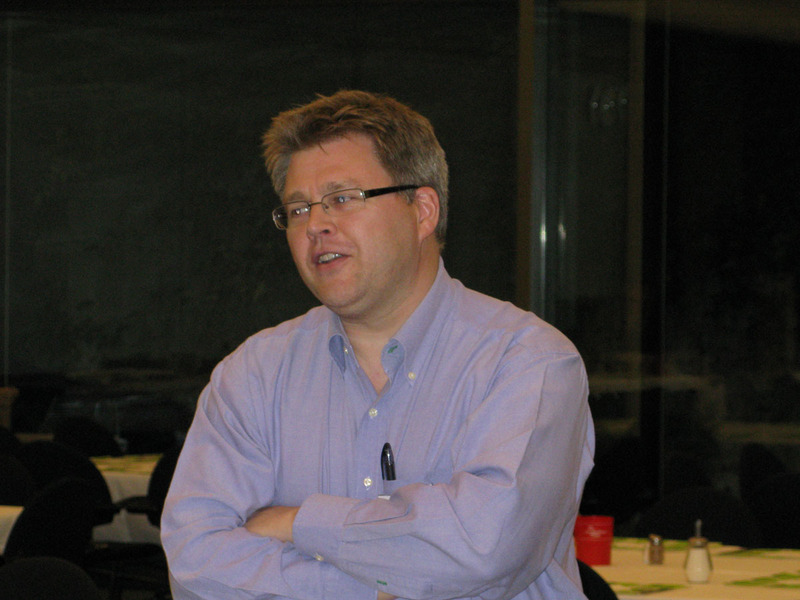 The overall goal of the workshop is to promote interactions between people from different communities. It is guessed that major cross-institutional research advances can be achieved in the general domain of plastic fluids, that would not be addressed without the formation of this interacting group. physical processes involved in yielding: existence of a yield stress, interplay with thixotropy, what kind of behavior before yielding, surface chemistry, effect of surface tension, how to measure yield stress?, etc. mathematical modelling: well-posed problems and plastic flows, stability of solutions, nature of plug flow, etc. numerical modelling: computation of yield surface, meshing strategy, finite-element versus finite-volume methods, etc. fluid mechanics: interest of flow-depth averaged models (lubrication theory), free-surface instabilities, etc. geophysical applications: viscoplasticity versus Coulomb plasticity, effect of fine and coarse particles on yield stress, etc. industrial applications: concrete, cement, food engineering, drilling mud (petroleum industry), etc. This year, emphasis is given to geophysical applications. More information: the final program is available here (pdf file) or here (PS file). if you would like to give a talk, please send us by email a short abstract, a title, the list of authors (with affiliation), and the name of the speaker. 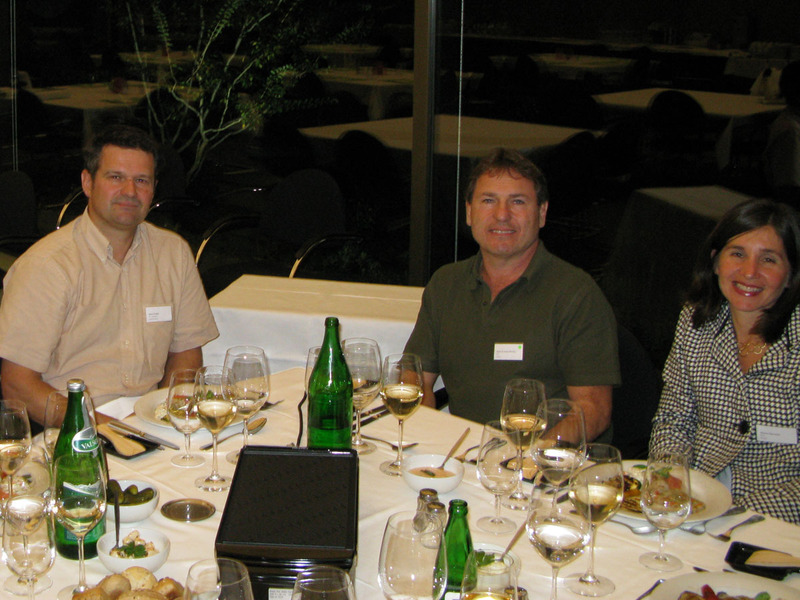 Contact: prof. Christophe Ancey, EPFL. for registration: 31th August 2007.
for abstract submission: 30th June 2007. View to Brissago Islands from Monte Verità Hill (Ascona). Courtesy of CSF. 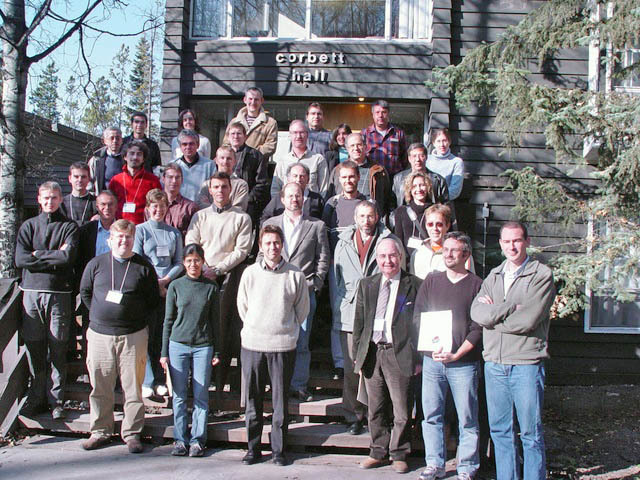 Photograph of the attendees in October 2005, Banff, BIRS meeting. Courtesy of Brent Kearney (BIRS). Two international airport in Switzerland: Geneva and Zürich. Another possibility would be to land at Milano Malpensa (Italy). From Zürich (or Geneva), the best solution is to take the train to Locarno (change in Bellinzona): Zürich Airport » Zürich main station (downtown) » Bellinzona (change) » Locarno . 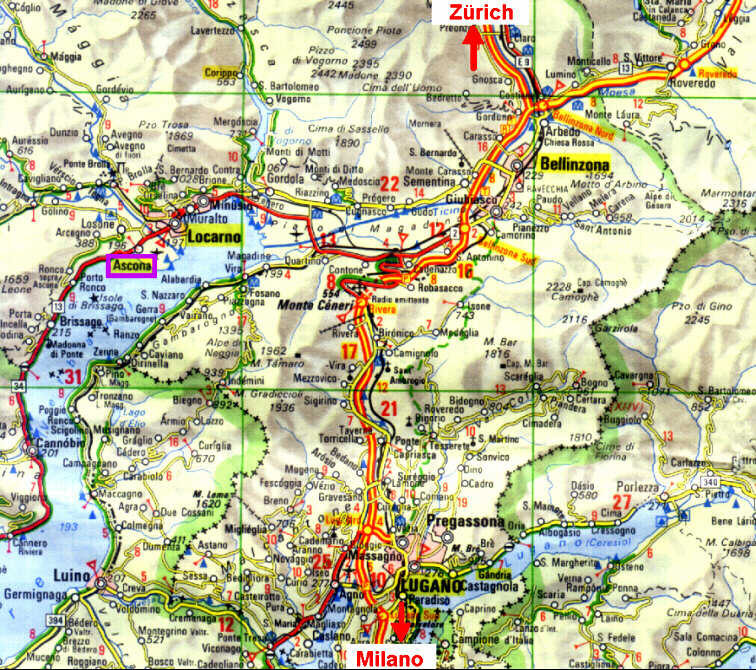 It takes less than 3h from Zürich to go to Locarno (approx. 5h30 from Geneva); from Milano airport, there are two shuttles (Giosy Tours and airportbus) to Bellinzona; from Bellinzona, take the train to Locarno. When you are in Locarno, take the bus to Ascono (bus 31, station in front of the main railway station); for the timetable, look at the Federal Railway Company, where all the details can be found by clicking on the blue links. 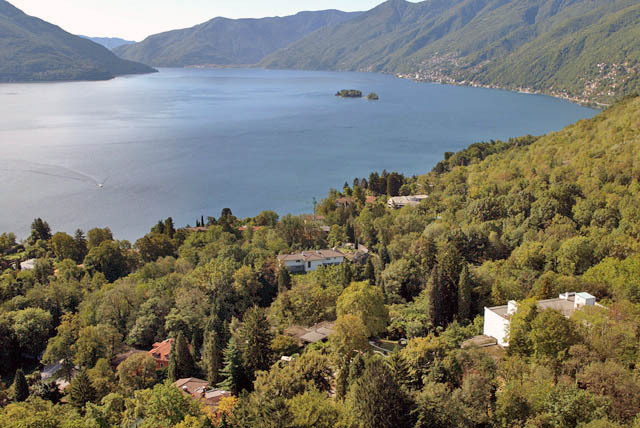 When you arrive at the "Ascona Posta" station (close to the Post Office), you have many possibilities to reach the Stefano Franscini Center (CSF): CSF is at a walking distance (15-30 min, uphill, depending on your shape ;:) from the Asconoa Posta station. You can also take a taxi, which will drive you directly to CSF (cost: approx. 10 CHF) or a shuttle (BUXI, cost: 1 CHF). Note that you can also reach CSF directly from Ascono by taxi or shuttle: taxis are reasonably priced (about 30 CHF); for shuttle transportation, look at the webpage. 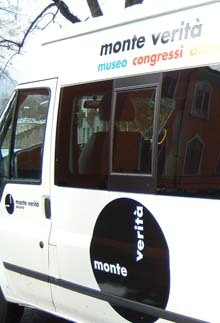 On arrival and departure day, Hotel Monte Verità takes care of the transportation of conferees between Locarno train station and Monte Verità. Shuttles (11 places) will drive you from Locarno (in front of the railway station) to CSF. Timetable: departure at 14:30 and 17:30. You must sign up the list for the shuttle. Presentations will be given in the auditorium. Standard equipment: 1 laptop (PC), 1 video-projector (beamer), 1 overhead-projector, 1 luminous table for slides, 3 mobile microphones, 3 table microphones, 2 blackboards. electricy supply: 220 V. For plugs: take a look at this webpage. The conference center is equipped with a room with a few computers (both PC and Mac) with free internet access. How to get to CSF from Ascona. Official photograph. Click here to download the full-size image (6.6 Mo). 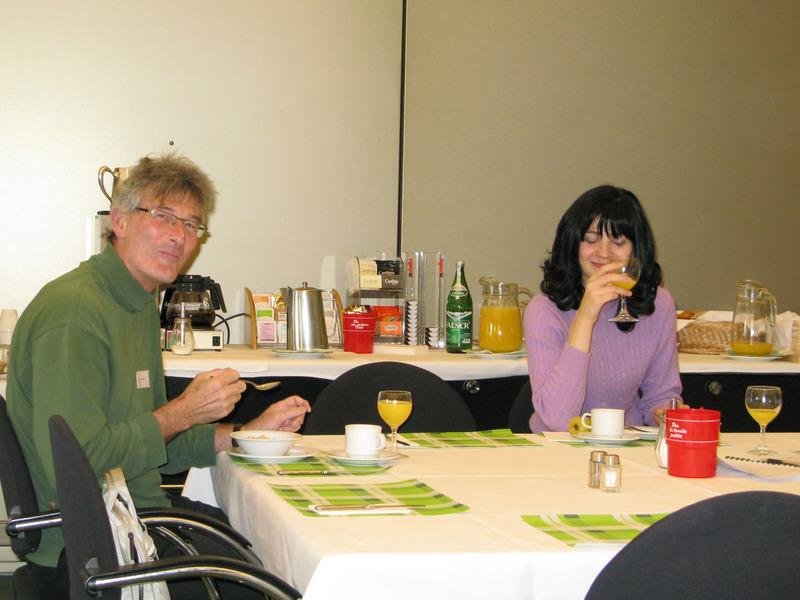 Pierre Saramito and François Nicot during the breakfast. 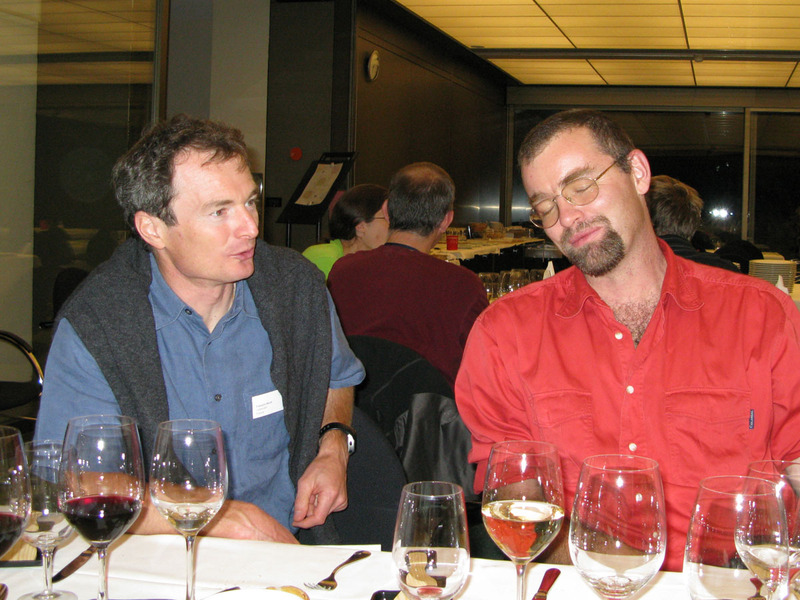 Ian Frigaard and Thierry Faug. 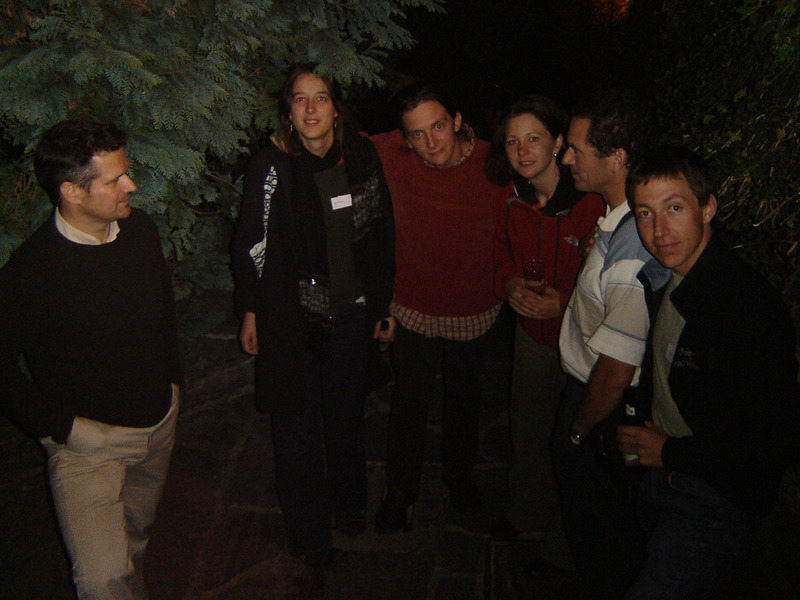 Peder Moller, Anja Slim, Jim McElwaine, John Tsamopoulos, Andreas Alexandrou, Yoel Forterre. Henri Vandamme and Ekaterina Muravleva. 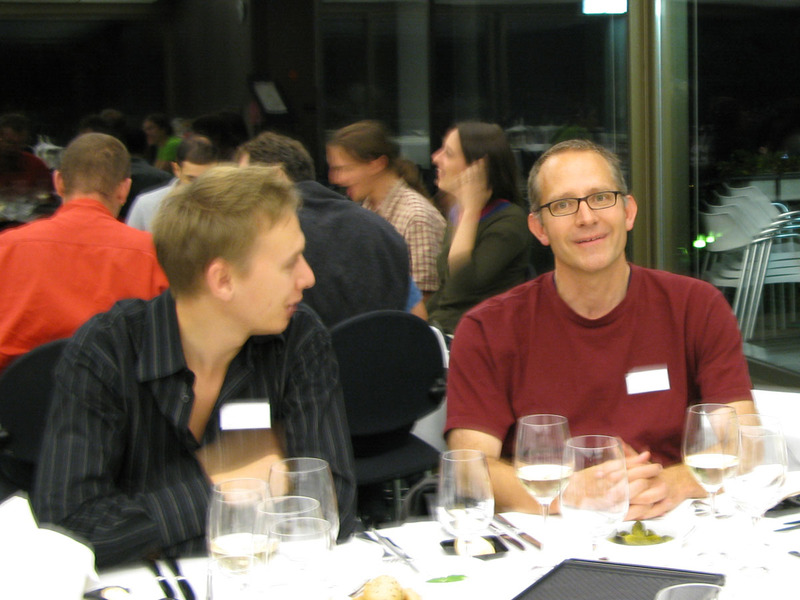 John de Bruyn, Steve Cochard, and Ian Frigaard. 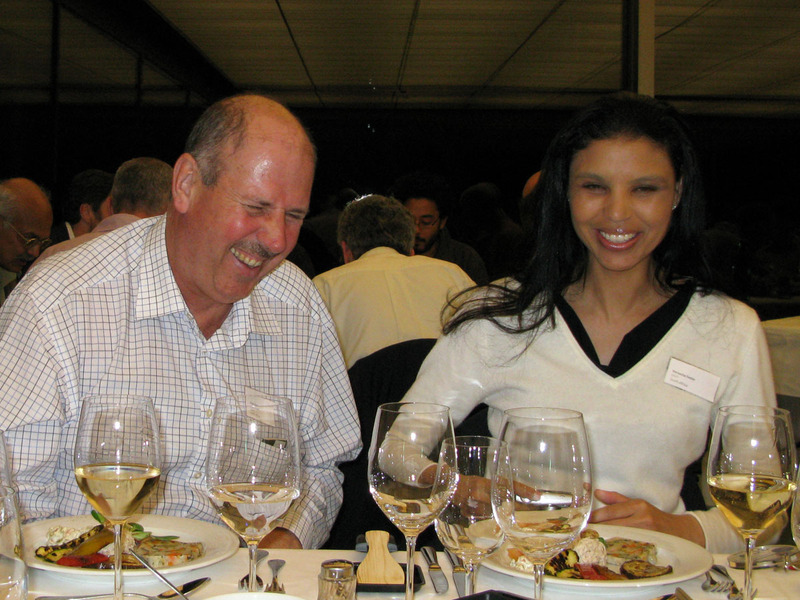 Paul Slatter and Veruscha Fester. Marco Picasso, Paulo de Souza Mendes, Monica Naccache. 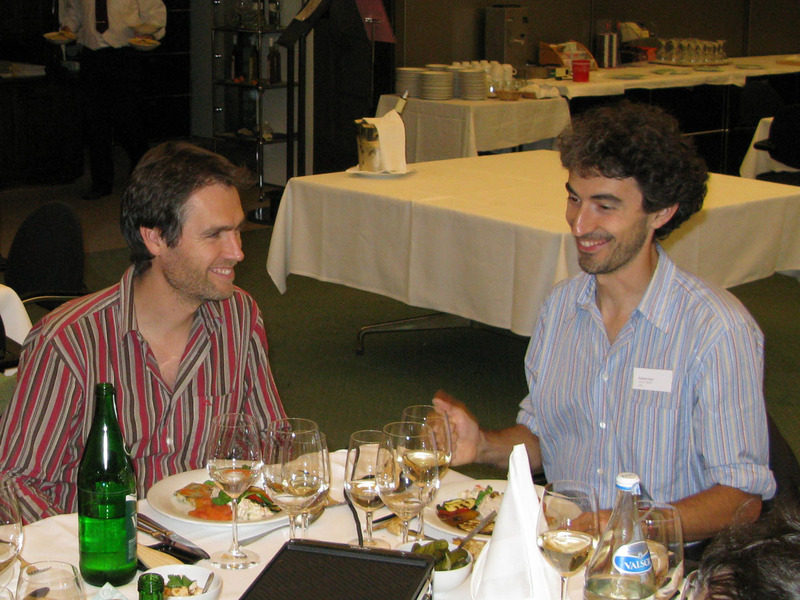 Olivier Pouliquen and Roberto Sassi. 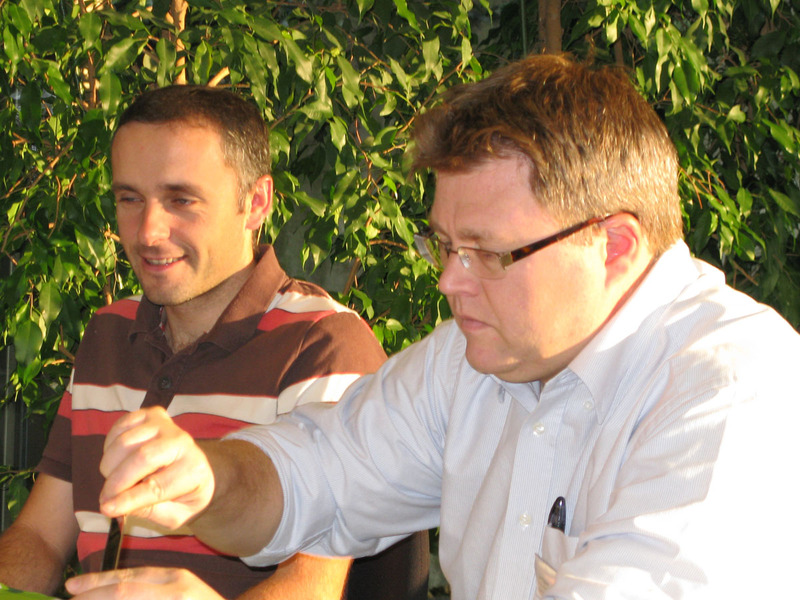 Georgios Georgiou, Andreas Alexandrou, and Joe Goddard. 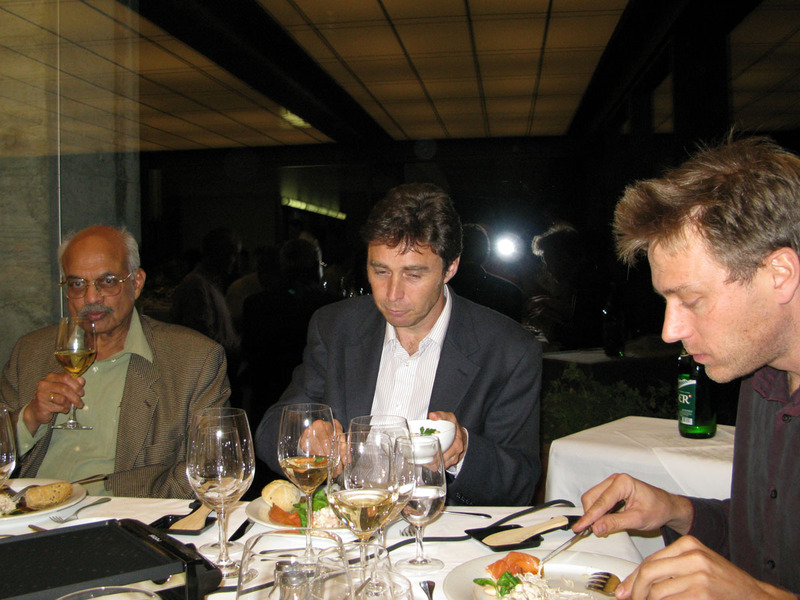 Andrew Hogg, Raj Huilgol, and Neil Balmforth. 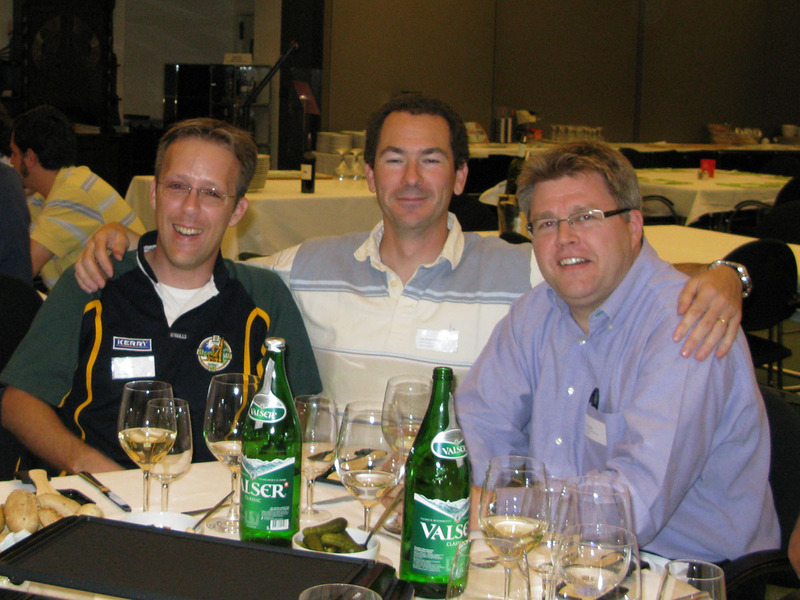 Raj Huilgol, Neil Balmforth, and Jim McElwaine. 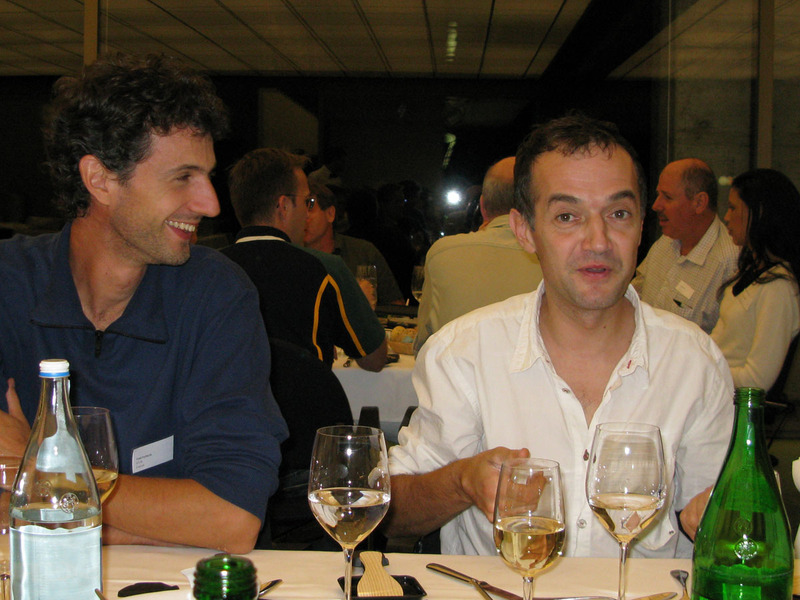 François Nicot and Eric Bardou. 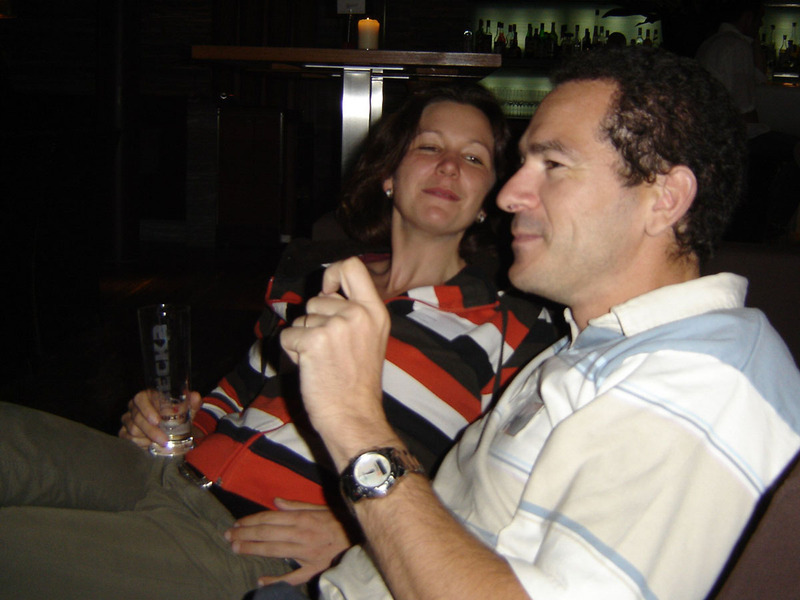 Christophe Chevalier and Claire Bonnoit. 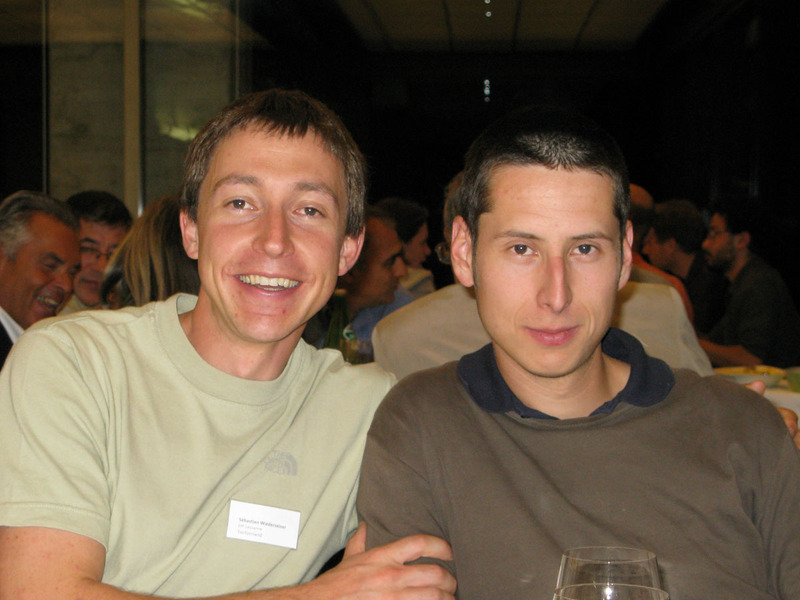 Sébastien Wiederseiner and Nicolas Andreini. 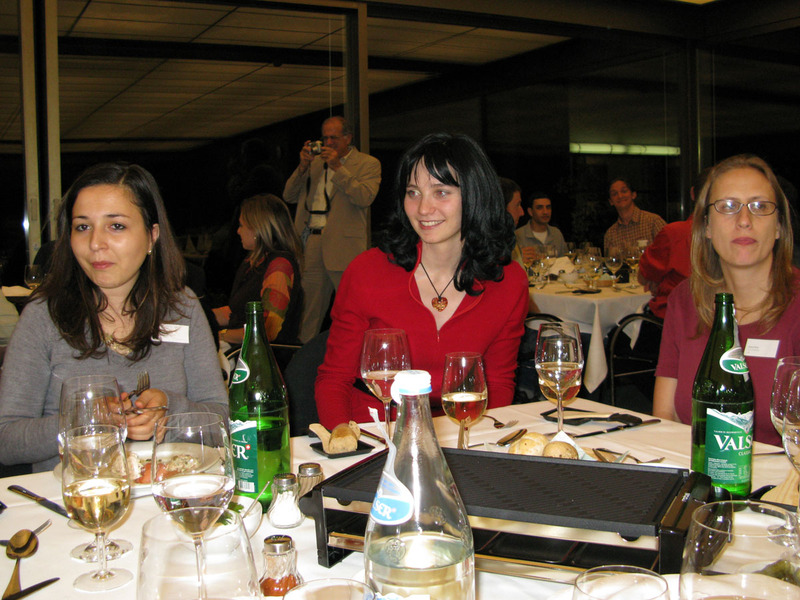 Assia Ghemmour, Ekaterina Muravleva, and Alison Rust. 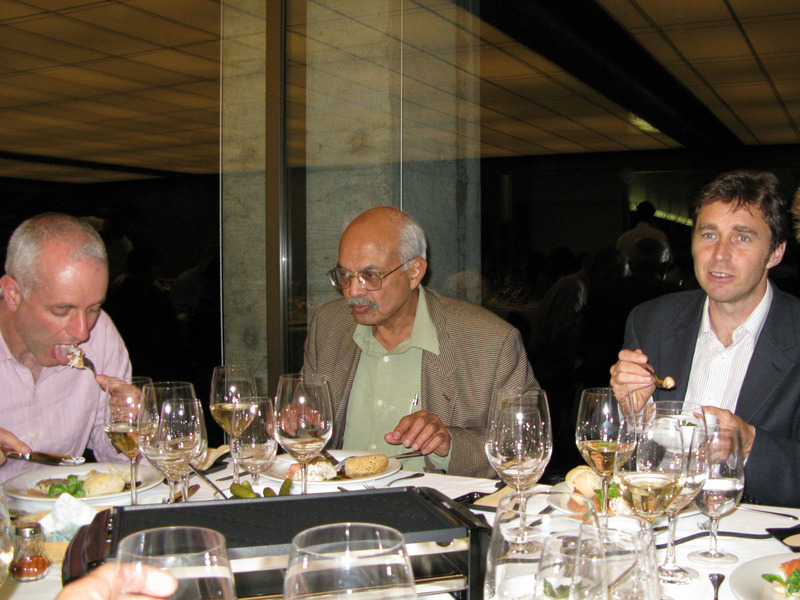 Yoel Forterre and Pierre Saramito. Peder Moller and Perry Bartelt. 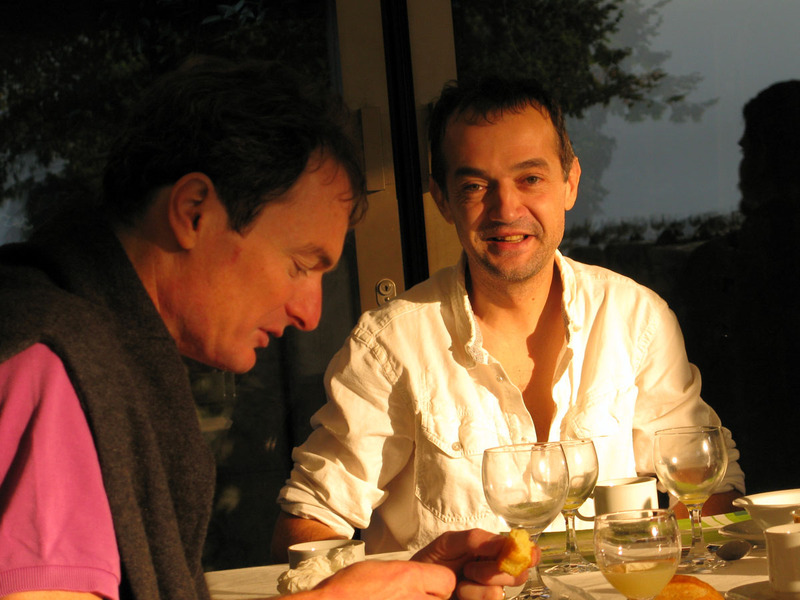 Steve Cochard, Christophe Ancey, and Ian Frigaard. 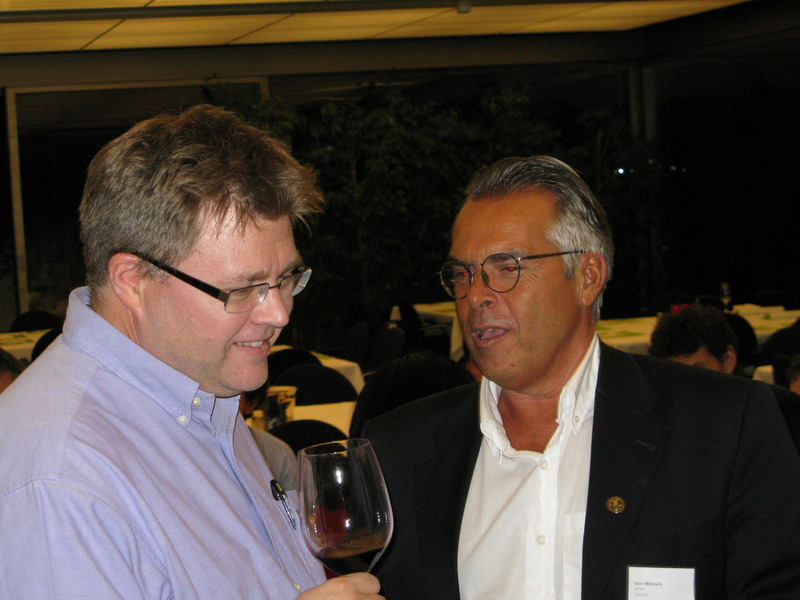 John Tsamopoulos congratulated by Ian Frigaard. He won the wager and a bottle of Newtonian fluid. 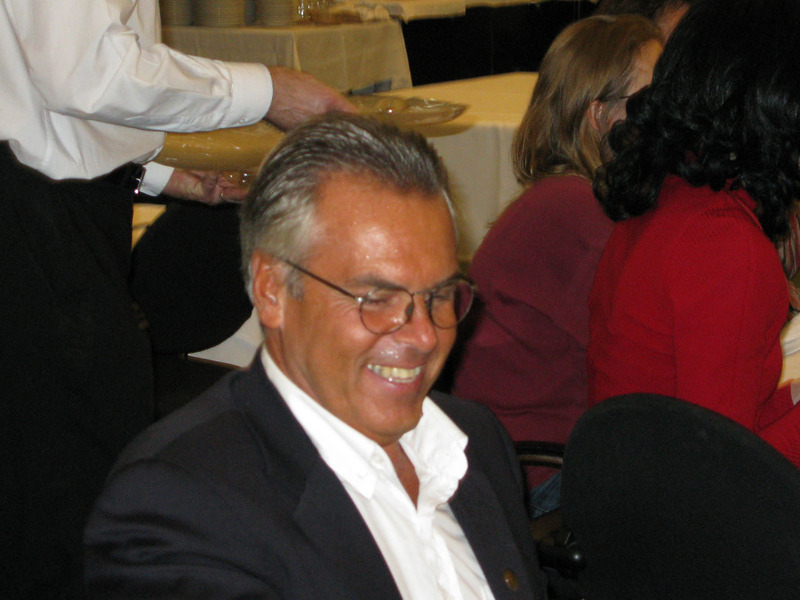 Ian Frigaard in a wonderful speech: a hommage paid to Evan Mitsoulis. 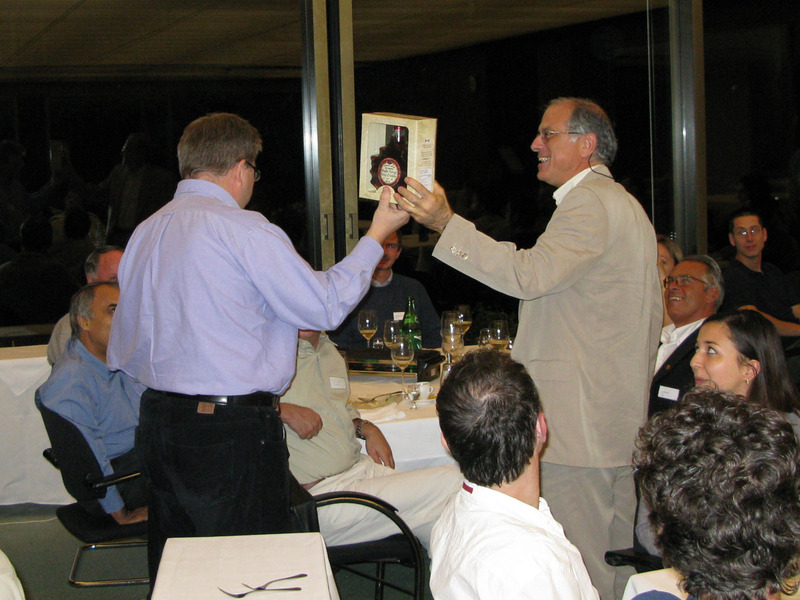 Evan Mitsoulis received the Bingham Fluid Medal (not to be confused with another famous prize!). Post-banquet drift in narrow streets of Locarno. 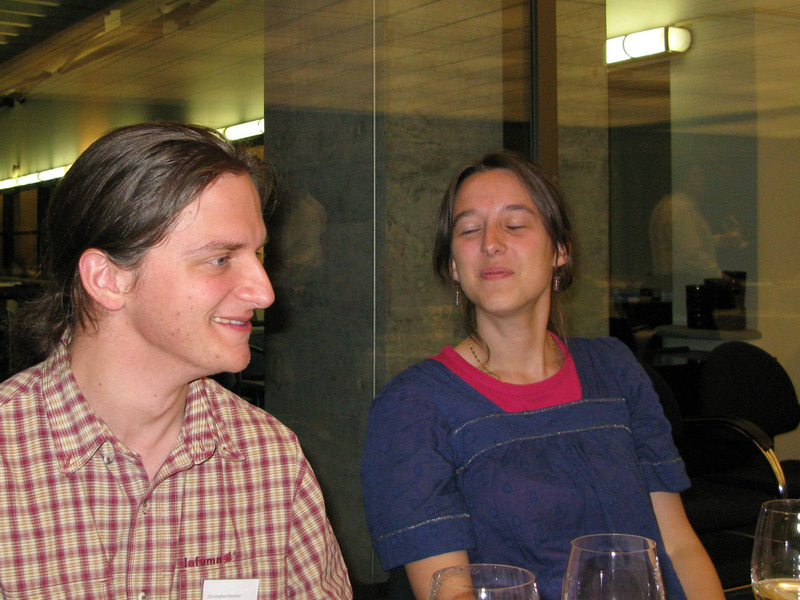 Julia Kowalski and Christophe Ancey arguing on Banach spaces.